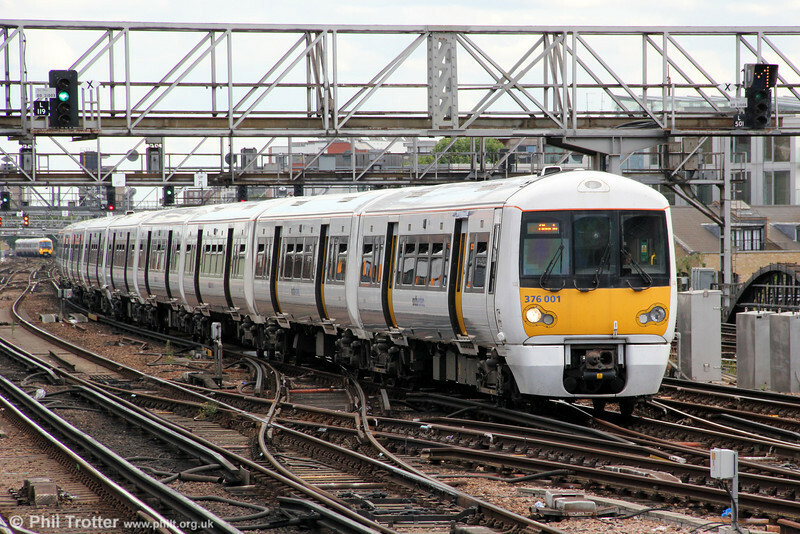 A type not featured here previously is the South Eastern class 376, which are distinctive from other 'Electrostar' classes by not having end gangways. SE operates 36 sets on North Kent lines. Here, class pioneer 376001 approaches London Bridge forming 2B42, 1413 from Dartford to Charing Cross on 26th August 2012.